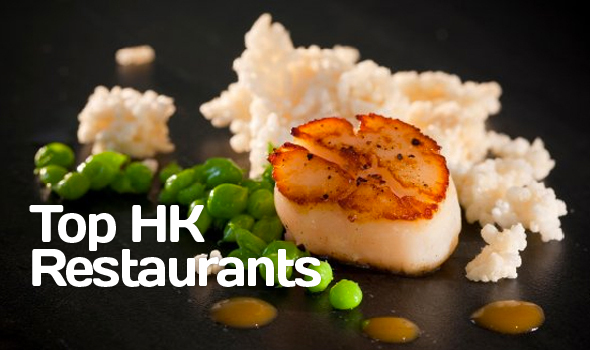 Hong Kong is an exciting eating destination that is visited by foodies from across the world, all keen to sample the amazing culinary culture that is in place here. With global gastronomes hopping flights to Hong Kong with their mouths watering in anticipation of the city’s edible offerings, it is no surprise to learn that Hong Kong has something for everyone from the authentic street foods of Stanley Market to establishment boasting multiple Michelin stars and restaurants with a real wow factor. With its rich cultural history, Hong Kong has over the years developed an exciting and individual cuisine – drawing influences from its Cantonese neighbours and colonial settlers amongst others. The streets of the city are filled the delicious smells, from the sizzling crispy ducks that rotate in a myriad of windows to the steamed sponge cakes that cook in the cafes. Visitors should not miss the opportunity to try the Pad Dai Dong from the street vendors but should not ruin their appetites as there are a number of restaurants that should not be missed. Bo InnovationThis Michelin Starred establishment is at the leading edge of the Hong Kong Culinary Scene. Mixing eastern and western knowledge with an exciting scientific approach the results are truly sensational – with dishes such as the rice-less risotto and xiao long bao soup dumplings never failing to disappoint. Café DecoSat at the top of Victoria Peak, Café Deco is situated in an amazing spot offering panoramas across the area. Travel up by the cable car before indulging in an Asian inspired feast offering delights from across the east. GaddisWith décor harking back to the days of the colonials, it is no surprise that Gaddis at the Peninsula Hotel serves up a European inspired menu, that is a favourite with visitors and locals alike. Specialties including the lamb remain a draw for those who remember this Hong Kong institution in its heyday. Jumbo– Anyone who has ever visited Hong Kong can’t have failed to notice the spectacular location of the Jumbo Restaurant – as this local landmark floats in the centre of Hong Kong Harbour. While some argue that much of what visitors pay for is the experience and location, Jumbo offers some mouth watering menu options with the seafood specialities being a great choice. One Harbour RoadThis large capacity authentic Cantonese restaurant offers stunning views over Hong Kong Harbour and a menu to rival any of the smaller city establishments with top menu picks including Ouma Abalone and Wu Shek ribs. WatermarkSet on the edge of Hong Kong Harbour and offering the al fresco terrace dining that is lacking in other spots across this pretty populace space, Watermark is fast becoming a firm favourite in the city’s dining scene – why not head here for the all you can eat lunchtime buffet. If you are planning a visit to Asia, don’t forget to check out Unearthing Asia, the best Asia travel portal focusing on Lifestyle, Culture and Attractions all over Asia. We have got some of the best cheapest all inclusive holidays ideas and inspirations in the region of Asia, such as this list of Singapore’s best romantic views.